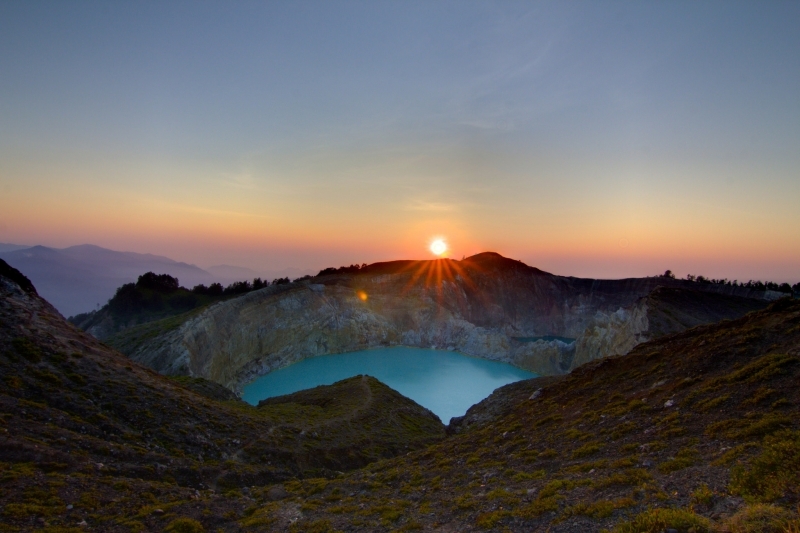 Tucked in central Flores island, near a little town called Moni, is Kelimutu – a volcano with three magnificent summit crater lakes. The Indonesian archipelago stretches over a vast area and incorporates a disparate collection of peoples, languages and cultures, but from the westernmost tip of Pulau Weh to the jungles of Papua in the east, one thing is ever-present: volcanoes. Some are violent and murderous, like Sumatra’s Sinabung; others are grumpy and irritable, like Bromo on Java. Indonesia has volcanoes of all shapes, sizes and tempers but on the small island of Flores, to the east of Java, can be found Kelimutu, a volcano that is unique in the world. Flores is one of the Lesser Sunda Islands, a group that includes the perennial holiday favourite, Bali, as well as the popular but less explored Lombok. Lombok is dominated by the huge Rinjani, the second highest volcano in Indonesia, while Flores’ neighbour, Sumbawa, is home to Tambora, the volcano responsible for possibly the most violent eruption in historic times. 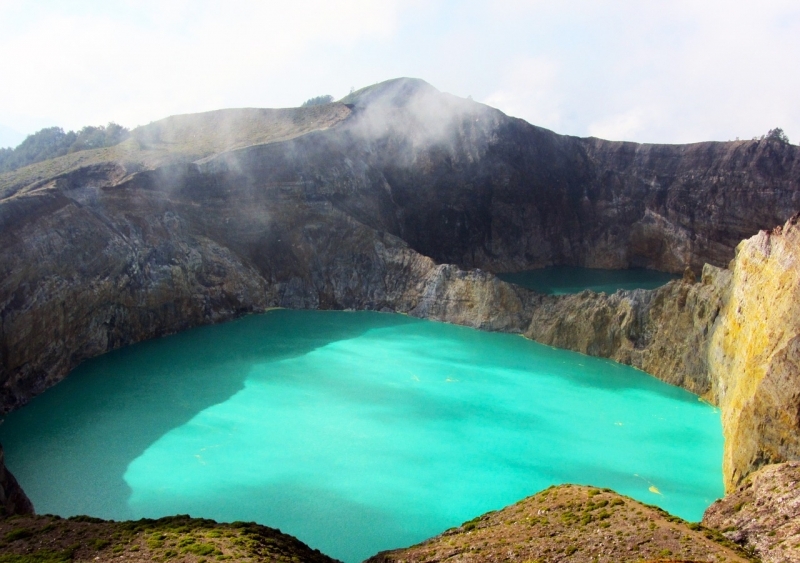 Kelimutu is located roughly in the centre of elongated Flores and access to the volcano is from Moni, a village situated around 40km from the town of Ende. Travel in Flores is always an exciting escapade, either in semi-official bemos – the Indonesian take on shared minibuses – or in private cars, often lovingly and lavishly decorated in eccentric styles, that pick up paying customers along the major routes. The transportation system is quite beyond the comprehension of any visitor to the island, if indeed there is a system, but it always seems possible to find a way to travel from one town to the next and the journeys are never dull. Moni is a small village that has grown up along the road that skirts the base of Kelimutu and, due to its proximity to the enigmatic mountain, several modest guesthouses and simple restaurants exist to cater to the trickle of tourists who make it out to the remote spot. As soon as my shared car pulled up at the side of the road, one of the guesthouse owners was enthusiastically ushering me into his establishment. 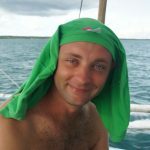 He was quite a character and I ended up sharing his dinner of grilled fish and a large bowl of homegrown rice, sitting on the floor eating in the traditional Indonesian way, with our hands. 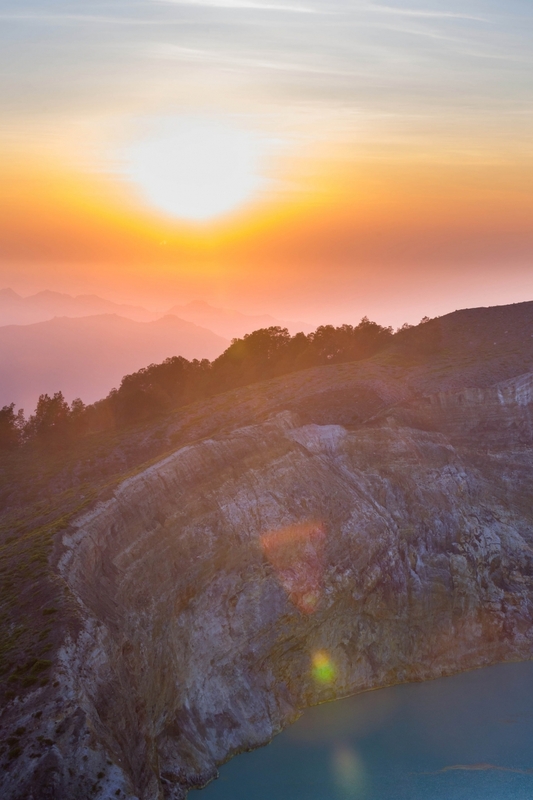 The most courageous explorers wake before dawn to make their way to the summit of Kelimutu for sunrise but even for those unwilling to rise at such an uncivilised hour, there is only a limited window of time in which to arrive at the top. Each morning, after daybreak, the skies remain clear only for a short time before the clouds inevitably roll in, after which any visit to the top becomes futile since visibility is reduced to almost zero and the splendours of Kelimutu are hidden for another day. It is almost as though the shy mountain allows visitors only the briefest look before becoming bashful and covering itself over again. 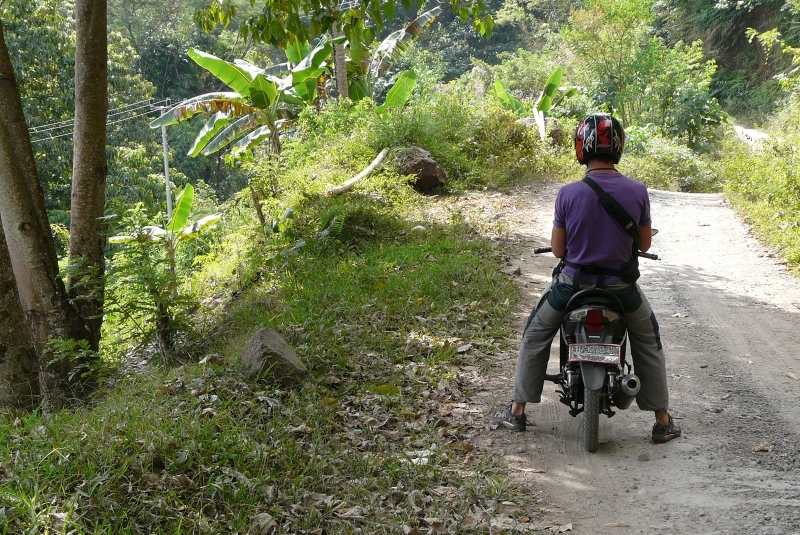 The guesthouse owner organised transport to the mountain – a motorbike taxi driven by his son. After a quick breakfast, with watchful eyes cast skyward, we began the short ride up to the checkpoint, from where visitors must continue on foot. Like much of the island, the volcano is covered in tropical forest teeming with exotic wildlife, but emergency shelters and warning signs provide a constant reminder that this is still an active and potentially dangerous volcano. In the distance, the clouds were already on their way and it was now a race against time to reach the top before Kelimutu was covered in a blanket of mist. If the cloud cover arrived before I attained the summit, the ascent would be for nothing as it would be too late to see the mysterious geological features for which Kelimutu is famous. 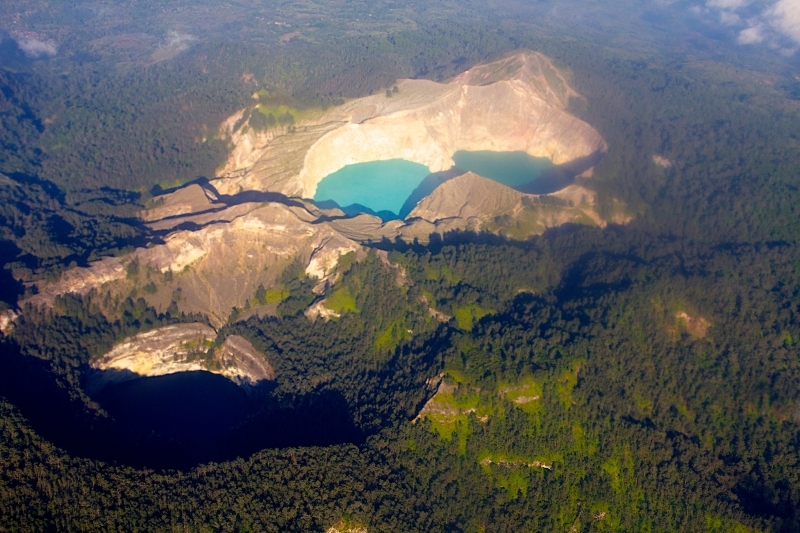 Volcanic crater lakes are relatively rare but at the top of Kelimutu lies not one but three gleaming bodies of water. These lakes are coloured by a combination of oxidation and volcanic activity and they are constantly in flux, changing their hue depending on chemical content and the moods of the volcano. In the sixties, the three lakes were supposedly coloured red, white and blue. As I climbed the steps to the first viewpoint, below me was revealed a wide crater lake, filled with a striking green-blue water that seemed hardly possible. The colour was so vivid that it didn’t seem like water at all but rather a huge bowl of acrylic paint. Beyond the first lake and separated by just a thin wall of rock, the second lake was visible, this time an opaque creamy green that looked almost like milk. The lakes were like something from a fantasyland, something that had no place in the real world. With the first wisps of cloud already licking the surface, I hurried up the steps to the viewpoint for the final lake, this time far below in a crater surrounded by trees and containing water of a dark, metallic green reminiscent of the open ocean on a stormy day. With the cloud now rapidly obscuring the scene, I had only a short moment to take in the sublime natural beauty of the place before the mountain decided I had seen enough of these otherworldly lakes and the clouds arrived in earnest, covering everything. There is an attractive path that leads back to the village and it is possible to spend a couple of hours walking all the way down to Moni, but I was keen to continue to my next destination so, avoiding the large male macaque who appeared to be the guardian of the mountain, or perhaps just an opportunistic bandit, I began to make my way back down through the mist to the waiting motorbike. The mountain had allowed me a fleeting glimpse of something that exists nowhere else and, as the clouds closed in, the ephemeral memory of the now hidden lakes already seemed unreal. As the image faded from my mind, Kelimutu seemed, perhaps, even more mystical, more magical.